In the U.S., the value of a life varies in price like different brands of Greek yogurt. One way to look at this is through the settlements awarded to the victims of police shootings: In Los Angeles, for example, some families get millions more for the loss of a loved one than others do. “The closer the family unit, the greater the showcase of love, the more that you can document how many times a father took his kids to soccer practice or took his wife to anniversary dinners — all of that is going to convince the jury to award the victim’s family a bigger settlement,” says Luis Carillo, a lawyer with more than four decades of experience working on officer-involved shootings in L.A. Most recently, Carillo represented the family of Sergio Navas, who was fatally shot by an officer in the passenger seat of an LAPD SUV after a car chase. The officer later claimed he was afraid of being ambushed when Navas, a 35-year-old father of three, got out of his car. While the police commission would later determine there weren’t grounds for criminal charges against the officers involved, their conduct “violated policy” — referencing faulty tactics in the lead-up to the shooting. Based on that information, Navas’s family would ask the city of L.A. for $10 million in a civil suit, eventually settling for $2.5 million in December 2016. None of which quite explains why there’s such disparity in settlement amounts between cases. In December of last year, the family of Brandon Glenn, a 29-year-old homeless man who was fatally shot by officers in Venice in May 2015, was set to receive $4 million. That amount was particularly high because of the officer’s conduct during the shooting: criminal charges were filed against the officer. “It’s very rare that a police chief recommends criminal charges. I’ve been practicing law for 40 years and I’ve only seen it happen twice,” says Carillo. He’s right. In the previous 15 years, L.A. County prosecutors had not charged a law enforcement officer for an on-duty shooting. 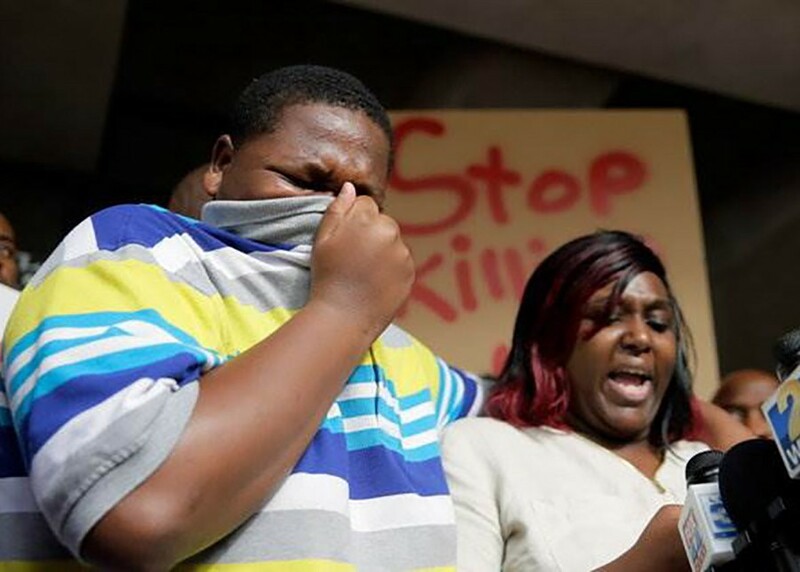 Glenn’s case was the first, which explains, in part, why his family received so much more than that of Reginald Doucet Jr., a 25-year-old shot and killed by police on January 14, 2011 in Playa Vista. They’ll get just $1.65 million. Still, these payouts to the victims’ families are among the highest by the city for deadly police shootings in the last decade. In 2015, the national median value of a civil settlement in a police shooting was $1.2 million. But the wide variation in these settlements reflects a broader ambiguity in how we assign a dollar value to a life. As of 2011, the Environmental Protection Agency set the value of a human life at $9.1 million. Meanwhile, the Food and Drug Administration put it at $7.9 million — and the Department of Transportation figure was around $6 million. Those estimates, however, are based on the full length of a human life — cradle to the grave. That’s why age can factor into determining these settlements. Last April, the city of Cleveland paid the family of 12-year-old Tamir Rice $6 million to settle the lawsuit against the officer involved shooting — the largest of any settlement afforded by the city. The deceased’s income also affects how much money lawyers will ask for in a given case. “If he’d been unemployed for a year or two that works against the plaintiff,” says Carillo. But often less objective factors can sway a jury. In one 2014 case that Carillo worked on, the city attorney, out of curiosity, showed jurors photos of the deceased’s body, covered in tattoos—after they had already decided on a settlement. “The jurors admitted that had they seen the photos before the case was settled they wouldn’t have awarded as much money. It’s a common tactic used by the city attorney. They use class more than, age or income level. Luckily, the judge hadn’t permitted those photos during the case,” says Carillo. Regardless of the factors involved, the settlement payouts to the families of nearly every victim of a police shooting seem extremely low compared to the estimated values used by the EPA, FDA and DOT. Those figures are more like the amounts named in the original lawsuits brought against the city, with amounts ranging from $10 million to $15 million. Those failures are beginning to cost the City of Los Angeles more money than it had budgeted for. With payouts projected to total at least $135 million this fiscal year, budget officials have said that the city needs to immediately borrow up to $70 million to avoid dipping into its emergency reserve fund. For cities, shooting an unarmed victim isn’t just a human tragedy—it’s also expensive. The financial costs alone should inspire a greater sense of urgency in city officials looking at the culture behind overzealous and occasionally fatal policing.